Style 77529F features a gorgeously beaded multi-colored belt with a collar choker. 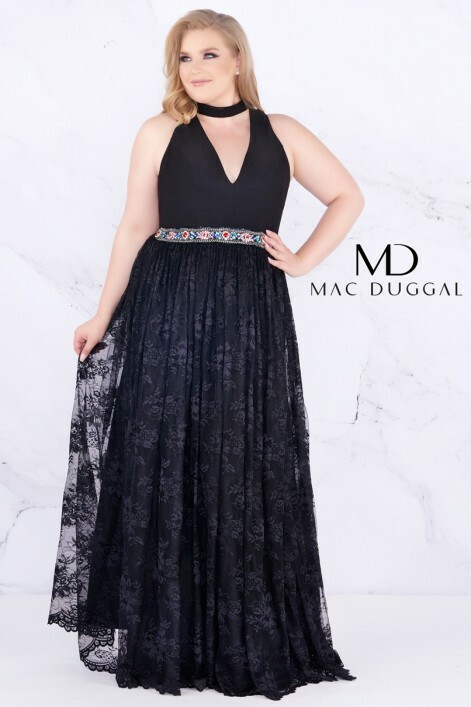 This black dress emphasizes a front keyhole but a high-covered back. The bottom consists of lace that flows into a train.